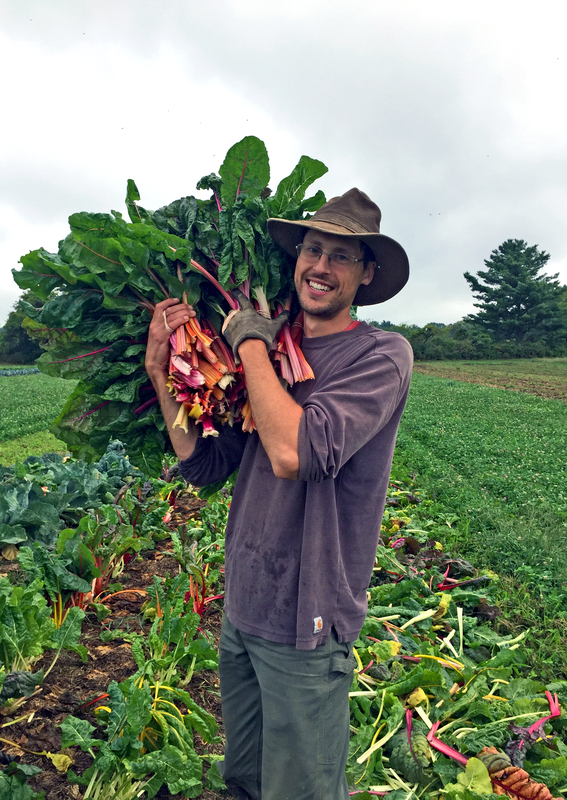 We’re casting our Co-op Spotlight on Elmer Farm this week to celebrate this 90-acre organic farm and the farmers who bring it to life. Member-owners can enjoy 20% off their glorious spread of organic vegetables from October8th – 14th! Read on to learn more about the history and heritage of this farm, which has been providing food for this community since the early 1800’s! Driving into East Middlebury on Route 116, it’s hard to miss the beautiful patch of flowers bordering the white farmhouse at the entryway to Elmer Farm. 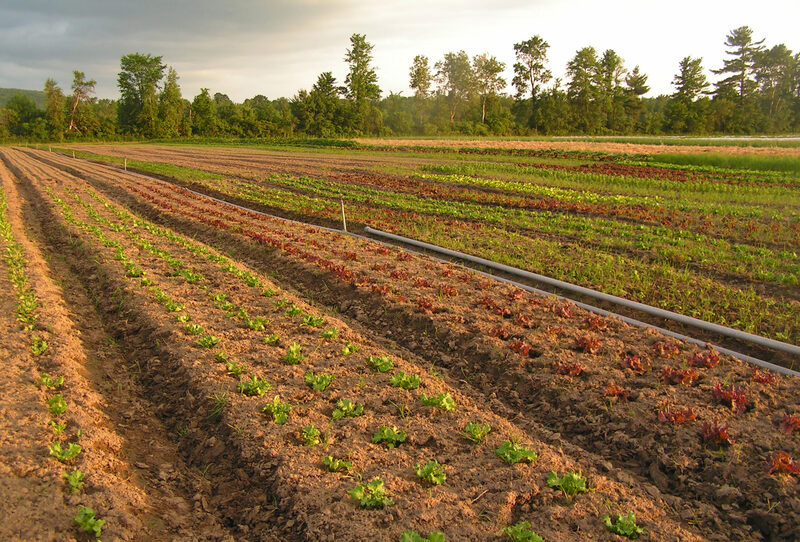 What you might not see from the road are the amazing fields of vegetables that are grown on this fertile, organic soil. 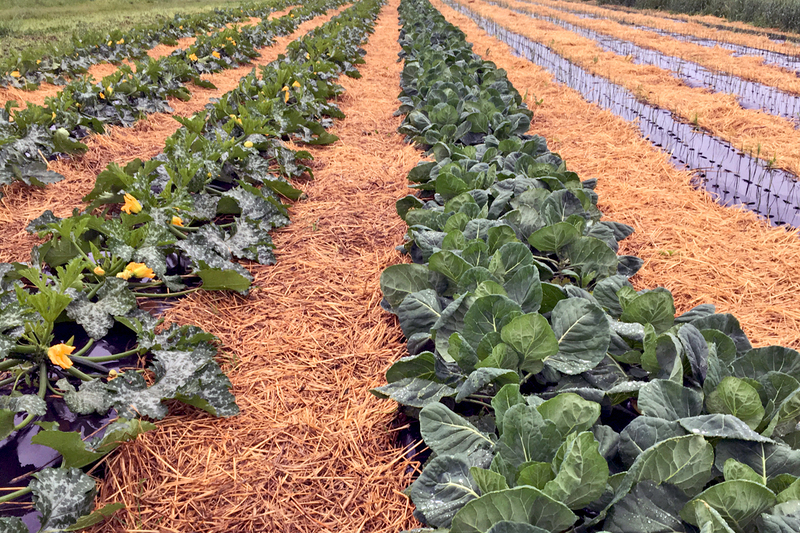 Elmer Farm is a conserved 90-acre farm where Spencer & Jennifer Blackwell grow 25 acres of mixed vegetables, grains, and dry beans, all of which are certified organic. Annual inspections and certification by Vermont Organic Farmers (VOF) ensure that the crops are grown responsibly and safely without the use of synthetic fertilizers, herbicides or pesticides. The farm belonged to the Elmer family since the early 1800’s and has a long heritage of providing food for its community. The receding glaciers bestowed the farm with a wonderful mix of fertile soils and sandy loam, perfectly suited to growing vegetables and grains. 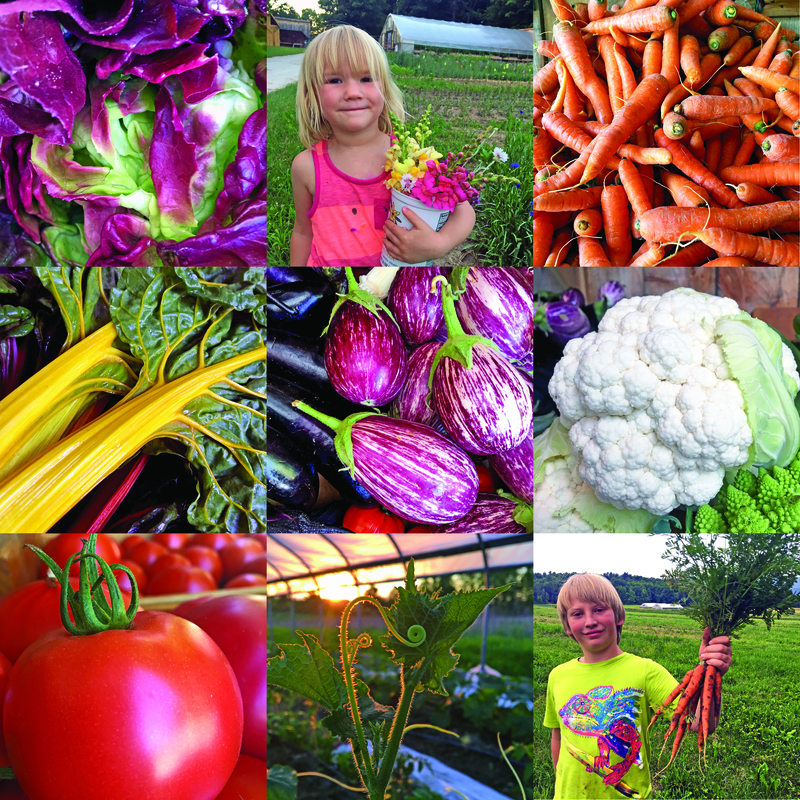 Elmer Farm grows more than thirty-five different vegetables, an array of flowers and culinary herbs. This includes over 200 different varieties including many heirlooms. 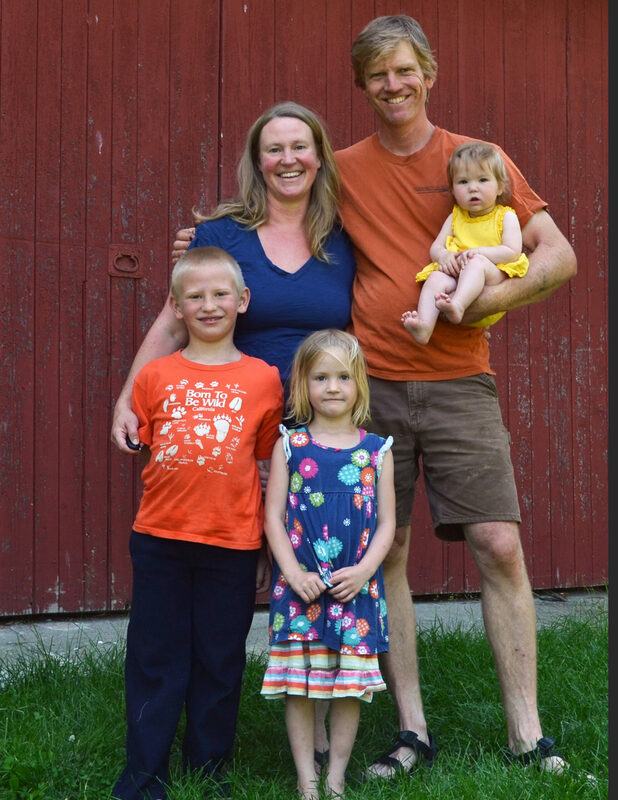 Spencer and Jennifer Blackwell, along with their children, Angus, Ida, & Mabel and their hard-working crew of farmhands are proud to grow vegetables for their community, neighbors, and friends in Addison County. They value hard work and the agrarian quality of life. They are committed to our community through various farm-to-school efforts as well as gleaning for local food agencies. In fact, Spencer helped spearhead the Local Food Access Program at HOPE. 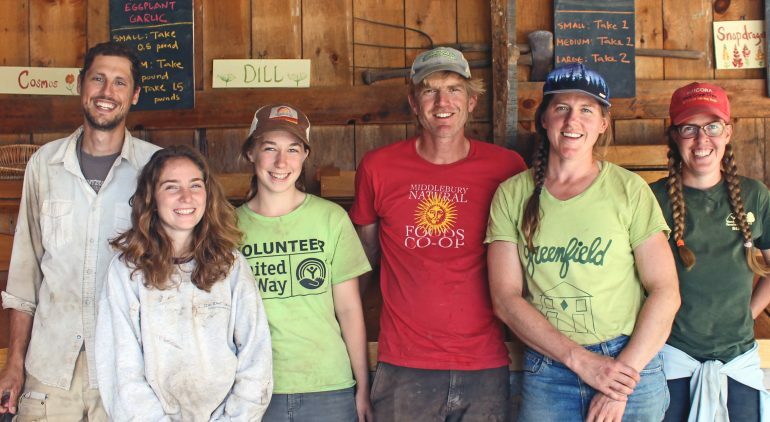 A number of years ago, representatives from HOPE, Middlebury College, ACORN, and the local business community, along with several local farmers, including Spencer from Elmer Farm and Will Stevens of Golden Russet Farm, got together to discuss the possibility of increasing the amount of locally grown food offered at HOPE’s food shelf. This group recognized that Addison County farmers grow vast amounts of beautiful, healthy organic fruits and vegetables, which are often unavailable or too pricey to those who need it most. They also recognized that these farms often had excess produce available that would not be destined for retail markets, which could instead be diverted to the food shelf. Fast-forward to present day, and the idea hatched by this group has evolved into an incredibly successful program that is bringing thousands of pounds of healthy, local foods to those in our community who need it most while also diverting a lot of food from the waste stream. At the Co-op, you can find Elmer Farm’s organic cabbage, red & yellow onions, butternut squash, baby bok choy, radishes, leeks, scallions, kale, chard, and their famous carrots! You can also visit their webpage to subscribe to their CSA, where you will receive fresh vegetables, flowers, and herbs each week from mid-June through the end of October for a total of 20 weeks. Also be sure to check out the recipes on their web page!